I can’t really mention this without first mentioning the Bibidi Bobidi Boutique – there is one is Downtown Disney and also at the Castle in Magic Kingdom. 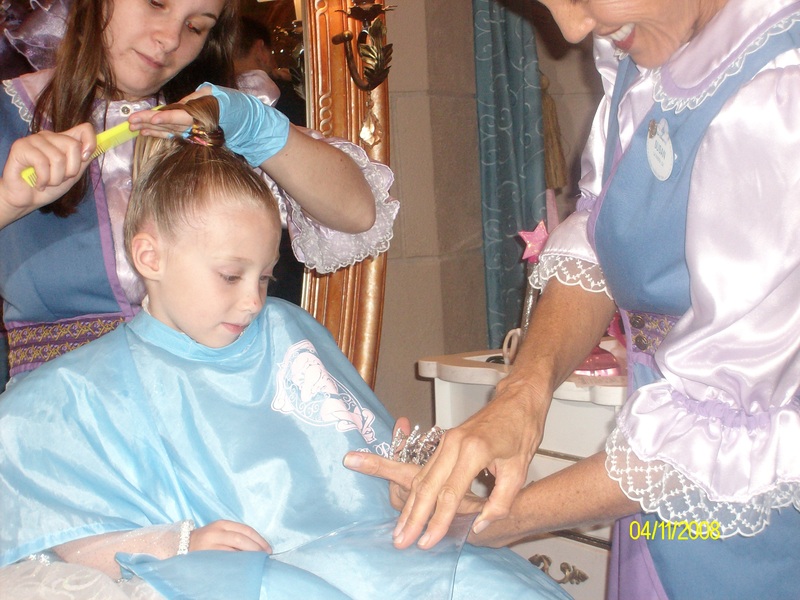 This is where girls can be transformed into Princesses – having their hair, make-up and nails done. We took our niece a few years ago and while we thought it would be great and she had looked enviously at other princesses as they walked past her in the park the actual experience was a bit stressful. There were many choices for her to make – what style of princess did she want to be, what tiara, what nails, what colour make-up etc. I’m just not sure that it lived up to the dream and it costs a lot – packages range from $50 to $240. However, the princess parade at Downtown Disney is free! It happens daily starting from the World of Disney Store. The princesses parade from the store to the Carousel – where they get a free ride. 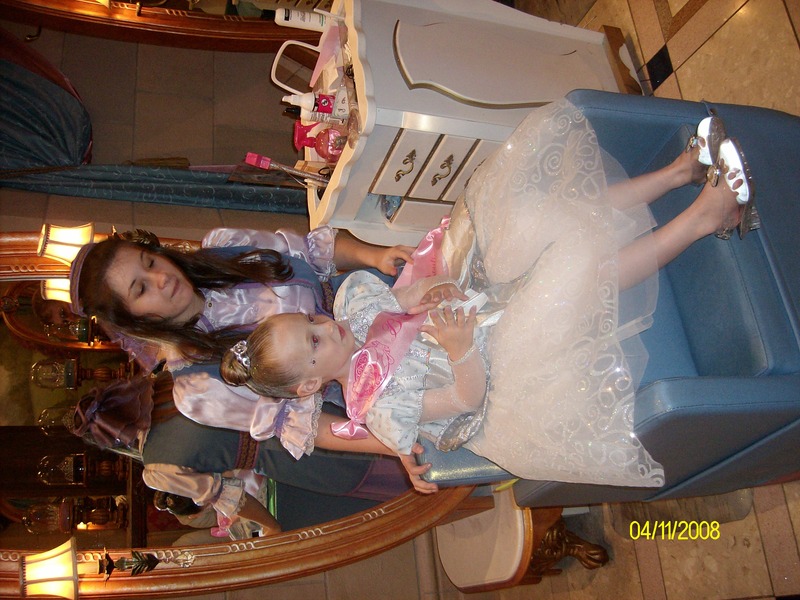 The princesses can dress up or not – so no pressure for parents. 2pm is the start time on weekdays and noon at weekends. One of our niece’s favourite afternoons – she spent ages in the Lego Imagination Centre building constructions with her Uncle and then took part in the princess parade ending with a free ride on the carousel.